Meet Adam Greenberg, PerformancePro strength and conditioning coach. Adam has an energy and passion for fitness, not to mention a great way with words! In between sessions with his clients, we found out what makes Adam Greenberg tick. After a relatively inactive and unhealthy childhood, Adam Greenberg took his health into his own hands at the age of 18, dropping almost 20kg of body fat and starting to build up some strength. Not surprisingly, this major gear change fuelled his burgeoning passion for health and fitness. 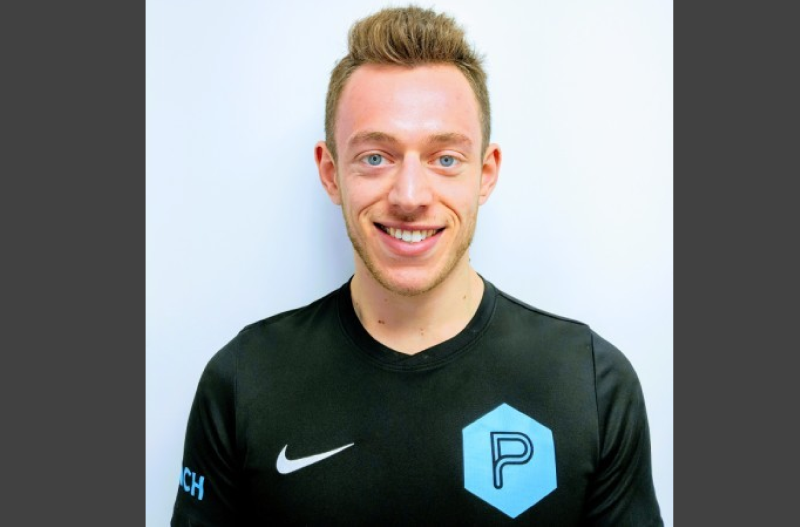 A good number of qualifications later, including REPs Level 2 Gym Instructor, REPs Level 3 Personal Trainer, and a Strength and Conditioning Fundamentals Certificate, Adam started gaining coaching experience with friends and family. From there, his S&C experience has continued to evolve. He has worked with many different clients with a myriad of goals, including body recompositions, fat loss, strength gain, muscle gain, injury prehab and rehab, and improved cycling power output. After an incredible experience working away from home for a year in New Zealand, which was invaluable in his continual career development, Adam landed back in London. We were delighted to welcome Adam to PerformancePro in December 2018, he’s a great addition to the team. We’re also delighted he feels the same way about us! Adam’s other interests include computer programming, cooking, and football. Adam is a strong advocate for a whole-food, plant-based diet and lifestyle, and he frequently attends meet-ups, seminars, exhibitions and activism events in this field. And on the football front, he’s at Vicarage Road most weekends to watch ‘the mighty Horns’. When he’s not busy with the above, Adam enjoys travelling and hiking. Adam recently took an interest in powerlifting and is currently training to increase his 1RM in the squat, deadlift and bench press. What are your top 3 fitness Dos and Don’ts? 1) DO use progressive overload. Make sure you are continually challenging yourself to increased stimulus over time. This ensures your body has a reason to keep on adapting and getting stronger. 2) DO give yourself breaks. It’s advised to have some time off or plan some lighter sessions occasionally. This helps your body and mind with recovery. If you don’t plan to take a deload, it’s likely your body will eventually force one upon you i.e. via injury or over-fatigue. 3) DO have a plan. It is so important to have a goal and a plan which clearly maps out how to get there. A good programme should factor in points 1 and 2 above. This enables you to achieve your targets far more efficiently. 1) DON’T stress about the minutiae or finding the perfect solution. For the most part, you should not spend time worrying about whether you need an extra millimetre on the heel of your squat shoe, or if you should cut out carbs after 6pm. Focus on the most important foundational elements of the training pyramid and build consistency around those parts. Adherence is key, remember that a sub-optimal plan you can adhere to is always better than an optimal plan you do not stick to! 2) DON’T over-do it! People say ‘no pain, no gain’, and to some extent this is true as you do need to push your body enough to elicit a response. BUT there is a balance and it doesn’t mean you always have to train to failure. So whilst ‘no pain, no gain’ may be accurate, ‘more pain, more gain’ is definitely not! 3) DON’T give up. Training is hard. Consistently training to a high level is even harder. Having discipline in your diet is difficult too. You will not get the results you want overnight, but do not be tempted to give up. Treat every small piece of progress as a victory. Remember, if it were easy, everyone would be doing it!